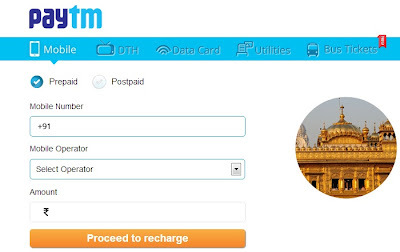 PayTM is good a good website which has a list of almost all mobile operators , DTH operators and Data Card operators where you may recharge your mobile. You may recharge through Net Banking account, credit card and debit card.If you are looking to recharge any packs as STD packs, Internet Packs and SMS packs then you may recharge easily here. The thing is only that you must know the amount to recharge. 3. Amount to be recharged. 6. Register in PayTM website. If your mobile is not recharged due to any technical reason then amount will be credited in your PayTM account and you may re-use this amount directly from PayTM while further recharge. Aircel, Airtel, BSNL, Idea, MTNL, MTS, Loop Mobile, Reliance CDMA, Reliance GSM, S Tel, Tata Docomo GSM, Tata Indicom, Tata Docomo CDMA, Uninor, Videocon, Virgin GSM , Virgin CDMA , Vodafone Cheers and Ping. 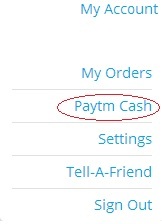 You may load money in advance to PayTM account using your online bank accounts and use it whenever want to recharge any service. This entry was posted in Mobile on March 11, 2013 by Yogesh Bajpai. Written in this post and open paytm website and enter mobile number and amount to recharge. You must have internet banking enabled bank account or debit or credit card to make a payment. bhai paytm par kaise account bnau???? All recharger is PayTM. Thanks for this Info.